It is the newest 3rd generation release from Tiarra Grilles. This is the ultimate way to fix up your vehicle and make it look like a new deluxe, high-end model. If you are out looking for the best, the top of the line; YOU HAVE FOUND IT. Material: Stainless Steel. Position: Main Upper. Local pickup is acceptable. We respect your privacy, won't give away your personal information to anyone. Hardware and instruction are included. Pieces: 1 pc. THIS UNIVERSAL GRILL IS PERFECT FOR ANY APPLICATION. WILL NOT RUST, EASY TO CUT, OEM LOOK, STRONGER THAN ALUMINUM GRILL AND EAST TO CLEAN. STYLE - SMALL HONEYCOMB. COLOR - BLACK. 1994-96 Chevy Caprice With Impala SS 1PC UPPER polished Aluminum grille insert. Chevy Caprice With Impala SS Billet Grille Insert. We will provide the instruction sheet with your order. If you live in Alaska, Hawaii. THIS ALSO FITS THE 91-96 CHEVY CAPRICE. 93-96 CHEVY IMPALA ! THIS IS WHAT THE GRILL LOOKS LIKE. GOT A BROKEN GRILL OR WANT. TO GIVE YOUR CAR THE "SS" LOOK. THE CHEVY EMBLEM IS. THEY WILL BE GONE BEFORE YOU KNOW IT! Installs Quick and Easy ?. Grille Insert Only. Logo, Emblem, or Grille Shell is NOT Included. Grade 304 Stainless Steel is Tough on Corrosion ?. C Stays Rust Free 300x Longer than Aluminum Grille in Salt Spray Tests. Caprice 1986-1990. Cutting and drilling may berequired. You willnot be able to use your original grille after removal. 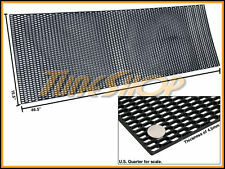 Aircraft grade 6061-T6 aluminum solid billet grille insert. Protects the front end of vehicle. 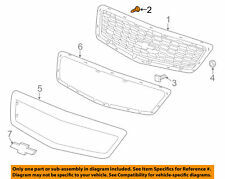 CHEVY CAPRICE IMPALA SS 1991 1992 1993 1994 1995 1996 NEW VIPER DESIGN OPEN GRILL SHELL. CHEVY CAPRICE IMPALA SS 1991 1992 1993 1994 1995 1996 NEW VIPER DESIGN HOOD GRILL SHELL. WE REDESIGN THIS GRILL SHELL TO MAKE IT MORE DURABLE,EASIER TO INSTALL ,MORE SOLID PARTS,NICER LOOK, SHOW QUALITY. Bumper Lights. 1991-1996 Chevy Caprice Front Upper Billet Grille. Enhance the style or function of the original OEM grille. Cancel Oder ALL OTHER COUNTRIES. AK, GU, HI, PR, APO, US Territories and PO Box. 1969 CHEVY IMPALA, CAPRICE. Dress up your '69 Chevy Impala, Caprice, or other 1969 full-size Chevrolet, and cruise in style! An Impala Bob's Exclusive! BILLET GRILLES. All pieces arepowder coated gloss black on the back and sides, andpolished on the front face to a shiny mirror finish. Material: Stainless Steel. Custom fit applications for each trucks, cars and SUVs. Within the 48 U.S. States. Color: Polished. Other International. Condition:As pictured. Very nice. No cracks or unsightly scratches. Part: Original GM 1969 Chevrolet Caprice-Impala Radiator Grille. High Grade Stainless Steel. Enhance the style or function of the original OEM grille. U.S. (Upper - 48 States). We will try our very best to assist with you! Those are the best places to have it installed. PARTS VEHICLE: 1995 Chevy Caprice. 72 CHEVY CAPRICE OR ESTATE WAGON 2 OR 4 DOOR MODELS UPPER FRONT GRILL, USED ORIGINAL THAT HAS BEEN REPAIRED AND REPAINTED IN SILVER - GRAY, Original used, part# 3997319. 1991 CAPRICE exc. YOUR FEED BACK WILL BE HIGHLY APPRECIATED.